Don’t trust your Company’s Picnic, Golf Outing or Summer Event to just anyone—work with a specialist! What makes Only Perfect Parties a picnic specialist? Over 20 years of experience and more than 5,000 events is a good start. 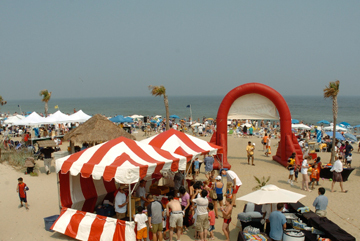 We have access to over 100 exclusive & semi-exclusive Recreational Complexes, Camps, Beaches, Parks, Estates & Rooftops throughout NYC, Long Island, Westchester, NJ, and Connecticut, a warehouse full of inflatables, casino tables, games and many of our own rides and attractions, plus offer access to any activity you can think of! Not to mention, theme ideas and packages that will bring your outing to another level! 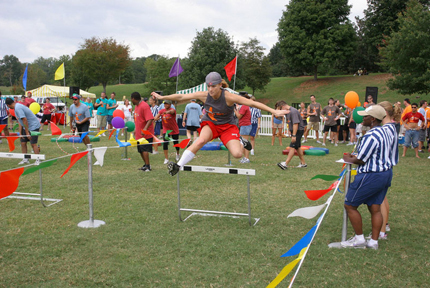 Our goal is to create the perfect company summer event specific to your goals and expectations. We start by helping you select the perfect location, one of our venues or at a location of your choice. Then choose the perfect menu, selection of beverages, rides and attractions, entertainment, games and a theme to complement your day! Only Perfect Parties has been the leaders in organizing outstanding employee and family events for companies throughout the Tri-State area since 1992! Our experience in planning summer events guarantees your outing is not only fun for ALL of your guests, but conveniently located, well executed and packed full of fun, all the while creating memories, building camaraderie and unity amongst all of your guests. What other Corporate event will afford you the opportunity to meet with your employee’s families or have your employees see the top echelon in their shorts and T-Shirts? It is the one and only event that really unites everyone and gives everyone that sense of family and unity! On the event day, we take care of everything—large to small. Our staff of experienced professionals ensures that every guest has a great day, including you! All you will have to do is invite the guests, attend and have a blast! You can trust that each and every detail is handled from start to finish when working with Only Perfect Parties! There is no better place in the world than New York, New Jersey & Connecticut, we are a group of strong individuals and no better way to celebrate all that we are, all that we withstand and all that we support than by building solidarity and union with a teambuilding event. We have designed and delivered high impact team building programs to companies throughout the entire Tri-State area with proven success. • Win It In a Minute Team Challenge! • Giant TEAM Mural Challenge!